Aeegle Cloud Platform is a web based Enterprise Applications Builder that helps companies to boost innovation and empower employees to create business applications in the Cloud, As an aPaaS Application Platform as a Service and Citizen Development platform is focused on making easy the business application development by empowering end users with tools to create business application they need, no matter is they are not developers. Designed taking in account and having in mind business that want to embrace digital transformation while keeping security as a top priority, ACP was designed, developed and is being supported by a team of seasoned software architects and experimented Google Developers with over a decade of experience building software products on Google’s Cloud using always state-of-art technology technology stacks and teaming up with world class IT innovators and senior innovation managers and business analysis focused on creating a tool that can boost digital transformation and leverage the talent inside the company, empowering employees with a tool that unleash their creativity and leverage business knowledge to transform business needs in compelling business application that compliance with corporate IT and bring competitivity and efficiency to the company. From the technical standpoint Aeegle Cloud Platform runs in a 100% Serverless infrastructure, meaning that infrastructure availability and scalability is delegated to Google, an innovator and world class cloud infrastructure provider, reducing our overhead and failure risk which at the end allow us to focus on customer support and product development, allowing us to create new functionalities based on the feedback from our customers leading us to be the safest and easiest solution in the Application platform as a Service aPaaS industry. From the beginning ACP has been developed to meet the highest standards for enterprise software in terms of deployment, security, scalability and performance. That’s is built on top of Google Cloud Platform, relaying Hardware provisioning, Data security, high availability in Google’s cloud a leader of Cloud Infrastructure provider. 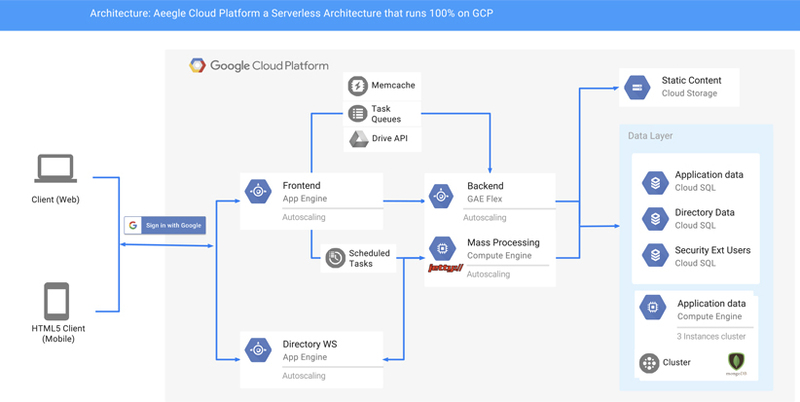 ACP runs on top of a serverless architecture where we leverage and rely on Google’s infrastructure to guarantee to be in compliance with the more strict security requirements. 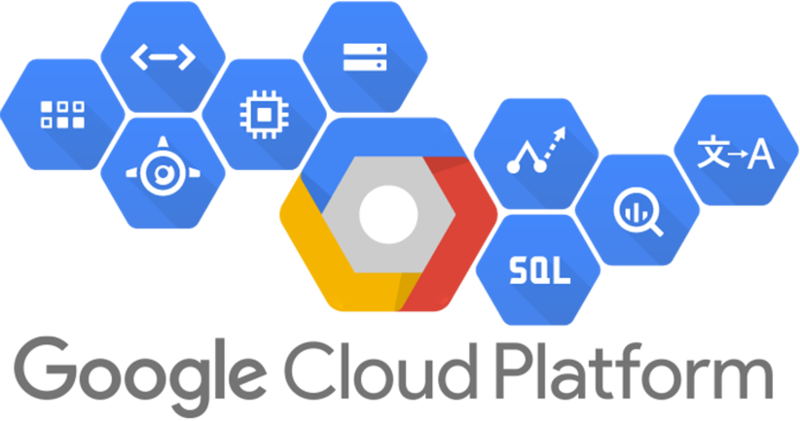 Aeegle Cloud Platform is a platform that integrate with and extend the functionality of Google’s products. Aeegle Cloud Platform as a product is a Google Cloud Technology Partner which means that after a rigorous Google review the Technology partner program team determinate that the platform meets Google’s requirements and leverage Google’s Cloud and is deeply integrated with the Google ecosystem. 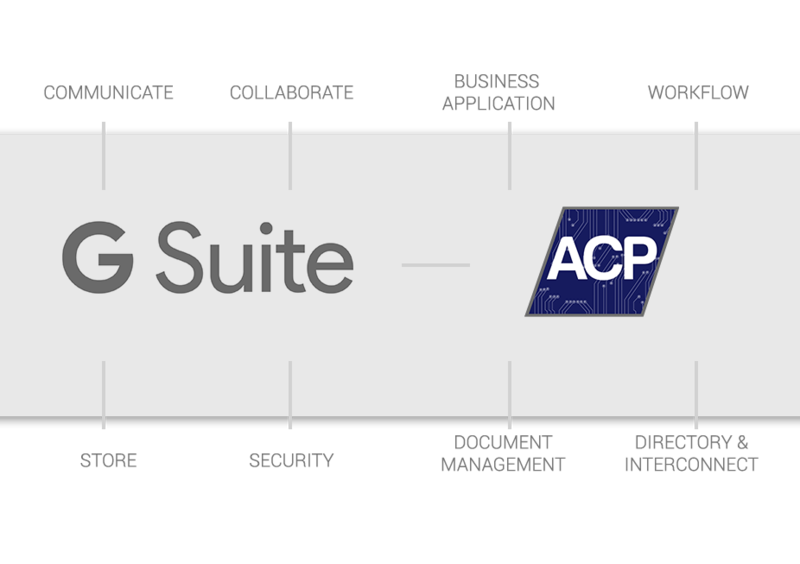 Technology partner are products that extend the Google Ecosystem by developing solutions integrated with G Suite and Google Cloud Platform. Ready to collaborate securely on the Cloud?